We are delighted to announce that the winner of our create a boat competition is 6-year-old Martin Wellstead. His winning entry ‘The Boat of Adventure’ captured the judges with its Venus Fly Trap and 6 legged Octopus. 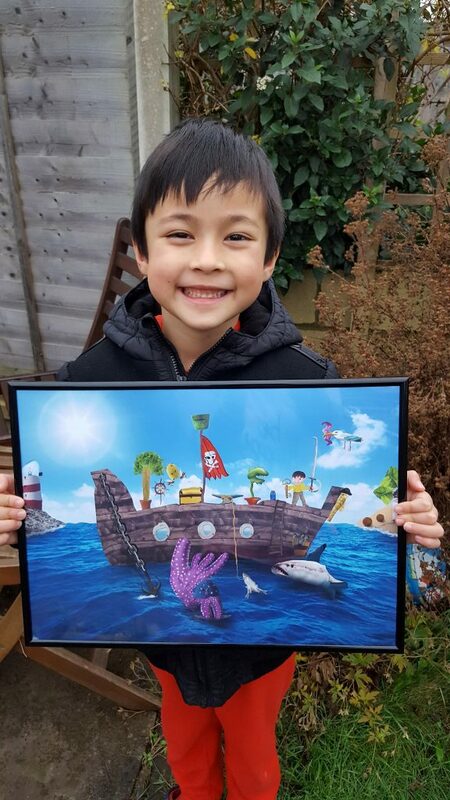 Martin and his family have won a £500 boating holiday voucher from us at NBD and the Graphic Designers at Nu Image have transformed Martin’s superb idea into a reality, by redrawing his Boat of Adventure in Photoshop. They have also animated Martin’s winning artwork to truly bring it to life, we wonder if we will be seeing the Boat of Adventure on the Norfolk Broads soon? Choosing a winner proved difficult, so in addition to our overall winner, we also awarded the prize of a £50 voucher off boating holidays to 5 brilliant runners up.